A chance to show your bike pride, win a new bike and support Bike Cleveland! Why do you ride your bike? What does Cleveland’s growing bicycle culture mean to you and your riding? What do you like best about bicycling in Northeast Ohio? Being on a bike represents different things to different people. Now here’s the chance to tell your story – and show your Cleveland bike pride – in the My Reasons To Ride Cleveland Video Contest this summer, sponsored by Raleigh Bicycles, Century Cycles and Bike Cleveland. The contest begins on July 1 and ends on August 15, 2012. Raleigh Bicycles will review all the video submissions and the most compelling video will win a Raleigh Cadent i8 bicycle valued at $739.99. 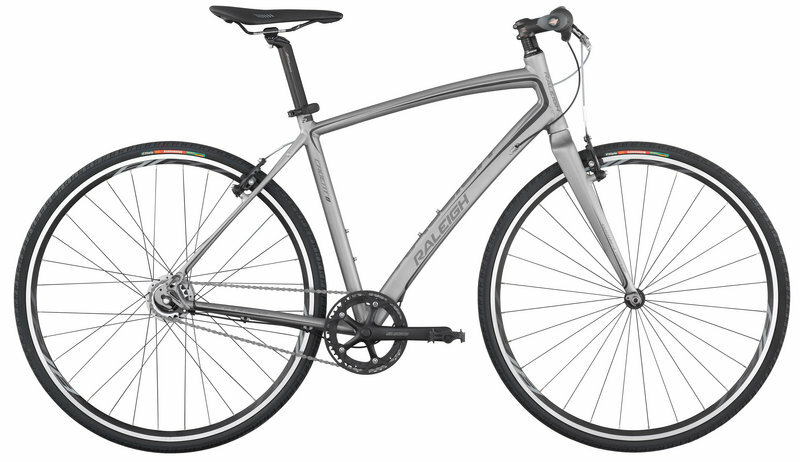 A great around-town bicycle for commuting or touring, the Cadent i8 has a simple design and an easy-shifting 8-speed internally geared rear hub for a clean look and low maintenance. Go to www.myreasonstoride.com and create an account. Your story will join an online quilt of videos from bicyclists around the country. If 50 different people submit videos by August 15, Raleigh Bicycles and Century Cycles will make a $5,000 donation to local bicycle advocacy group Bike Cleveland (www.bikecleveland.org), to help them continue to promote and protect bicycling in Northeast Ohio. Don’t have a video camera, computer or email account? You will have the opportunity to videotape your story at Bike Cleveland and Century Cycles events throughout the summer (including the next Bike Cleveland Social on July 12 and a Bike To Work Day on July 27) and Bike Cleveland will submit the video on your behalf. A complete event listing is at bikecleveland.org or available by calling (216) 245-3101.